Privacy concerns can get the best of us! Especially when you’re just trying to relax at home and you catch a nosy neighbor looking through your window or a jogger peeking at you. Making sure your home has the proper privacy ensures better comfort as well as safety. Don’t give burglars or assailants the chance to case your property. Window coverings can offer an out-dated look while blocking out sunlight. Window tinting is the best way to achieve privacy and safety without compromising natural sunlight or curb appeal. LLumar has a wonderful line of privacy window tints that provide Austin homeowners with great options. Window tinting offers a modern approach for achieving true privacy for homes. There are countless reflective properties, hues, finishes, and styles available from LLumar, allowing homeowners to really customize the way they want their exterior to look. Window tinting eliminates the need for tacky window coverings while providing great sunlight and visibility into your space. The great thing about window tinting is the energy efficiency options that offer considerable savings for homeowners all year-round. This also eliminates cold/hot spots while delivering great comfortability throughout. Window tinting also offers UV protection and glare reduction, incredible benefits that can drastically improve the comfort of your home. Llumar® Window Films for Austin Homes from Kansas City Green Window Film on Vimeo. GreenLight Window Films has worked with LLumar for decades, providing the best in service as well as installations. We install everything to their standards in order to ensure all manufacturer warranties are valid. With their full residential window tinting line, we guarantee that we’ll have the exact aesthetic that you’re looking for that addresses all of your project needs. 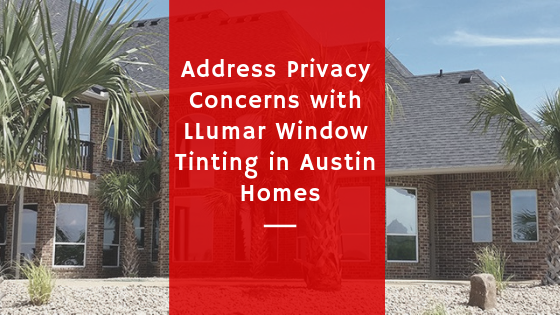 For more information regarding LLumar residential privacy window tinting for your Austin home, please contact us or give us a call!